Fit Fluential Mom: Meal Prep Mondays are HERE! 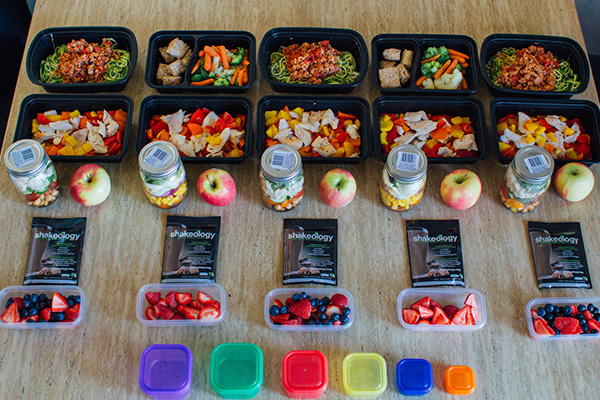 Meal prep doesn't have to mean a tedious all day kitchen marathon. It can be done in an hour or two and it can save you a lot of time during the week! Not to mention a lot of mindless eating! So, I'm starting Meal Prep Mondays! The Team Beachbody Blog features them and I'll be sharing them with you guys here on my blog! Each week I'll feature a new coach's meal prep tips, shopping list, recipes, photos and more! Save them, pin them on Pinterest or print them and save them so you can refer to them when it's your turn to prep! This week is Amanda Meixner's meal prep tips, recipes and colorful photos of delish healthy meals. He daily calorie bracket is about 1500 - 1800 calories per day so, if you're lower than that because you're still losing, adjust your containers (21 Day Fix) and cut out a snack or two. We love her pretty Mason jar salads. She packed her lunches in Mason jars to keep them fresh all week. Get tips and recipe for making your own Mason jar salads here. 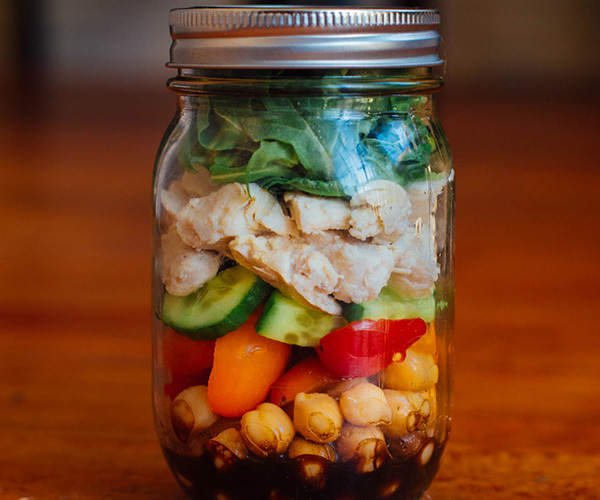 This jar has balsamic dressing at the bottom, then Amanda added chickpeas, tomatoes, cucumber, chicken, and arugula. 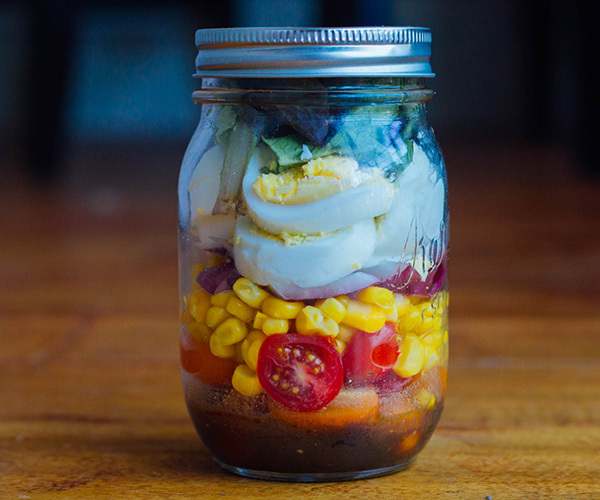 This jar has mustard vinaigrette at the bottom, then tomatoes, corn, red onion, hard-boiled egg, and mixed greens.